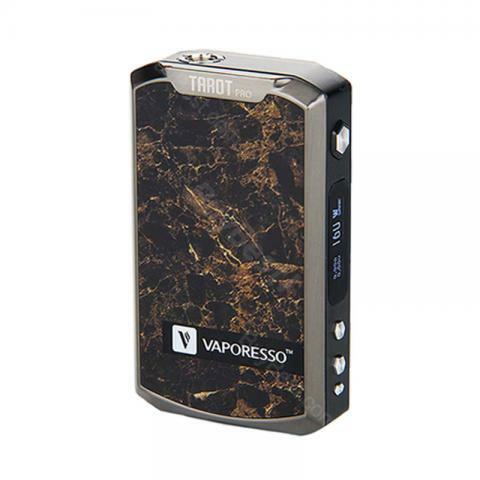 160W Vaporesso Tarot Pro VTC Box MOD comes with the latest omni chipset and features a large number of user-friendly design, including VVT and VVW mode, max output up to 160W. 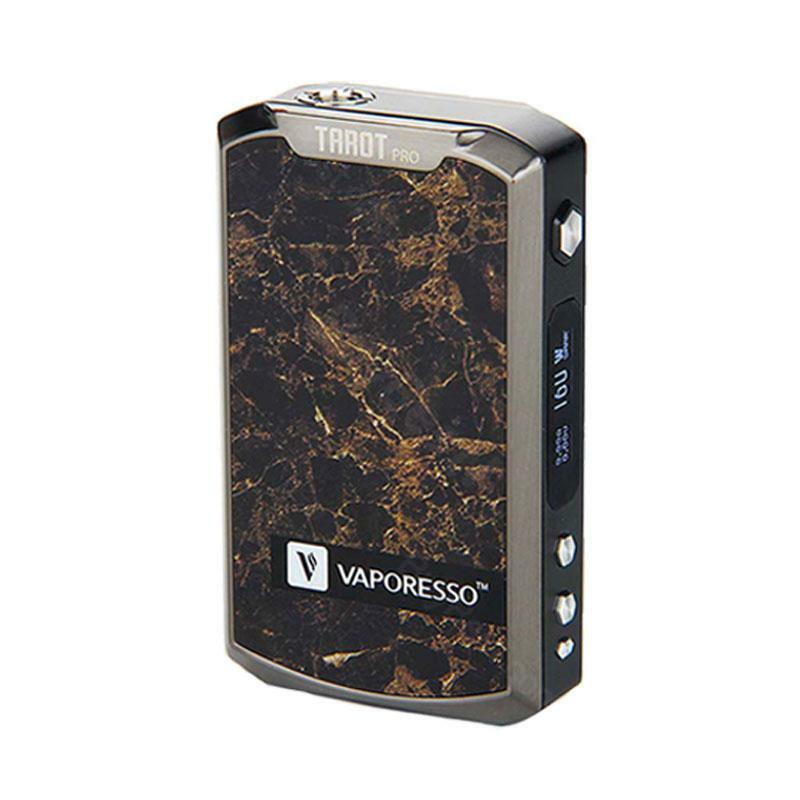 Vaporesso is widely known to keep innovating to a higher level, to break the ego, and to stick to this philosophy, the latest version of the Tarot PRO 160W MOD is one of the best proof. Tarot PRO comes with the company's latest omni chipset, which ensures stable and reliable performance. Vaporesso Tarot PRO integrates a large number of user-friendly design, including VVT and VVW mode is that vapor can be set directly on the fuselage screen every second output or temperature control, at the same time, this regulator also has a mechanical bypass mode, In other words, the stormy double 18650 batteries in the market are also integrated into the throttle-type surge tank. The most important thing is this battery box smart smart mode, you can simply identify the resistance and give the safe power, you can directly ignite the burn core, this feature is very suitable for novice use. Press the fire button 5 times in quick succession to turn on/off the device. After switch on, OLED displays voltage, resistance value, battery level, temperature, output wattage; the display will shut off if unused for 20s, the screen will be relight by pressing the fire button. The mod will read the coil's resistance as soon as the connection is detected. It will also recognize coil type, when a kanthal coil is used, the mod will shift from TC to wattage mode automatically. Keep pressing mode button and “+”button simultaneously for two seconds when the device is powered on, then the up and down buttons will be locked and the screen will display “SYSTEM LOCKED”. In the same way, pressing the up and mode buttons can be unlocked and the screen will display “SYSTEM UNLOCKED”. Keep pressing up button and down button simultaneously for two seconds, the screen display will rotate 180 degrees. Long press the mode button for three seconds to switch among VW/VT(Ni200, SS, Ti)/ Smart /TCR / BYPASS / CCW / CCT modes. Plug in the Micro USB cable to charge the battery. The display will remain lit while charging. 1) Smart VW mode: As an advanced Variable Wattage mode, Smart VW will guarantee your mod’ s ability to skillfully select the adequate average wattage for your atomizer, according to its resistance reading, automatically. As for any regular wattage mode, however, you will be given able to change the wattage according to your taste all across the scale. 2) In CCW mode: While on VW mode, press the mode button three times consecutively to select CCW. Select and hold down the mode button to confirm and to implement any modifications to the wattage line using the plus and minus buttons (Ramp up time and consequent performance); move on to the next bar with a quick press of the mode button. When all modifications are final hold pressed the mode button to save and exit. When set in TC-Ni/TC-Ti/TC-SS mode, the device can separately support Nickel 200, Titanium, and 316 Stainless Steel coils. In TCR (Temperature Coefficient of Resistance) mode, the device can support different temperature control coils within different TCR value ranges and you can set the TCR at different values within proper range. Adjust temperature: In TC-Ni/TC-Ti/TC-SS/TCR(M1,M2,M3) mode, temperature can be adjusted from 100-315 or 200-600 by pressing up button or down button, up button to increase and down button to decrease. Each press of the up or down button will increase or decrease the temperature setting by 5 or 10. Long press up button or down button rapidly can increase or decrease temperature setting. Lock/Unlock resistance: In TC-Ni/TC-Ti/TC-SS/TCR(M1, M2) Mode, press the "-"and mode button simultaneously for 2s will lock/unlock the resistance level, lock icon will appear on the display. Attach a new atomizer will not change the locked resistance. Automatic atomizer recognition: To achieve better temperature control effect, the mod will ask the user if the new atomizer is attached. “OLD LOAD: -, NEW LOAD: + “will appear on the display. If a new atomizer is attached, press “+", the mod will read new resistance; if not, press “- ", the mod will read at locked resistance. 4) In CCT mode: While on any TC mode, press the mode button three times consecutively to select CCT. Select and hold down the mode button to confirm and to implement any modifications to the temperature line using the plus and minus buttons (Ramp up time and consequent performance); move on to the next bar with a quick press of the mode button. When all modifications are final hold pressed the mode button to save and exit. 5) In Bypass mode: Direct output voltage system is applied in Bypass mode. The higher the battery level is, the higher the output voltage is.When set in this mode, the device can support a coil whose resistance is within the range of 0.05-5 ohm. Max 160w and with temp control, love my new tarot pro. Vaporesso tarot pro mod looks so cool! I am also pleased with its performance. I have to say it's beyond my expectation. It works great at every aspect. Thumbs up. Cool looking mod and good quality.